Join us for a celebration at Hermann the German! The party is held at Hermann Heights Park (14 Monument St.) in the shadow of the 102-foot monument, and below in Harman Park (101 North Garden St.). Dance to live German music throughout the day, snack on some German and American food, and refresh with Schell’s beer and 1919 Root Beer – on tap all day! Festivities begin at 11:30am. Be sure you check out the event highlights: Thunder In The Valley by the New Ulm Battery and New Ulm Municipal Band (cannon shoot with 11 guns!) 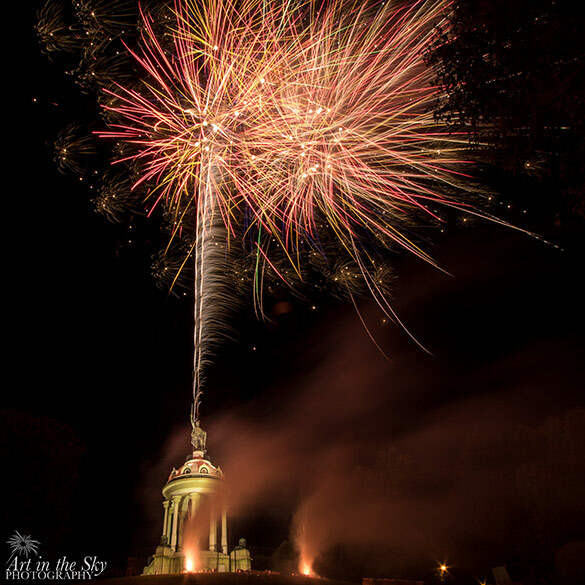 at 6 pm, and the Fantastic Fireworks over the Hermann Monument at 8:30 pm. Music continues into the night. Saturday, September 7, 2019. For more information, go to www.hermannmonument.com.